We’re proud to announce that the College of Financial Planning has granted our colleague Scott Weigel the Financial Paraplanner Qualified Professional™ (FPQP™) designation. Client Services Associate Scott Weigel was born and raised in Boca Raton, Florida. After graduating from St. Andrew’s School where he played water polo, he attended St. Francis College in Brooklyn Heights, New York. While there, Scott began to take an interest in business and the financial industry which ultimately led to him earning his Bachelor of Arts in economics with a concentration in finance. Scott began his career as a financial analyst in New York City for a small management firm that worked with leading architectural and engineering firms to grow their businesses and manage their finances. 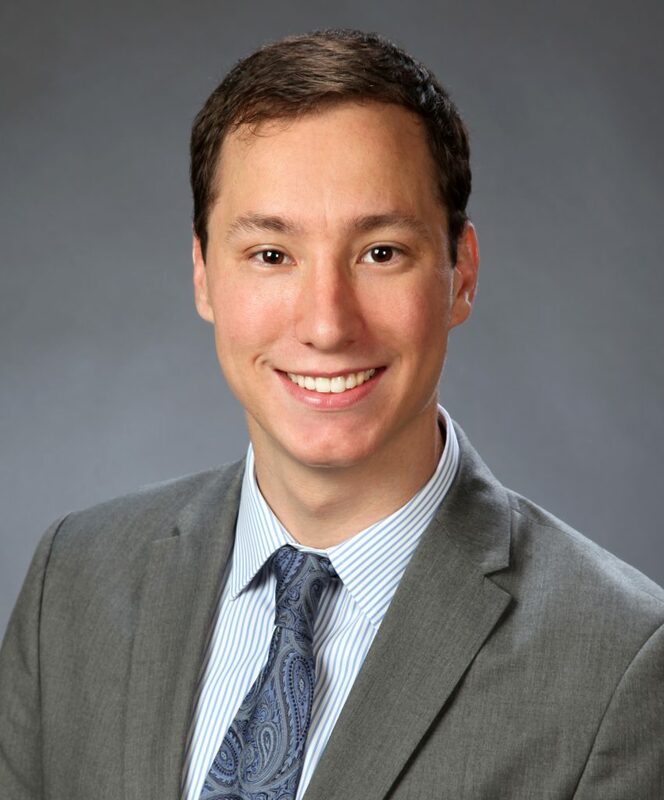 He worked tirelessly ensuring that the short- and long-term financial goals of his clients were met, a skill set that translates well to wealth management and is welcomed here at Adam Financial Associates. Outside of work, Scott enjoys spending time with his family and is a huge Florida sports fan. When he’s not out and about with his fiancée, you can typically find him hanging with friends and watching either the Dolphins or Marlins. The Financial Paraplanner Qualified Professional™ is a key player on the financial planning team, with demonstrated competence in gathering, reviewing and analyzing clients’ financial information and constructing personal financial statements to give clients a comprehensive picture of their financial well-being. Individuals who hold the FPQP™ designation have completed a course of study encompassing the financial planning process, the five disciplines of financial planning and general financial planning concepts, terminology and product categories. Additionally, individuals must pass an end-of-course examination that tests their ability to synthesize complex concepts and apply theoretical concepts to real-life situations. All designees have agreed to adhere to the Standards of Professional Conduct and are subject to a disciplinary process. Designees renew their designation every two years by completing 16 hours of continuing education, reaffirming adherence to the Standards of Professional Conduct and complying with self-disclosure requirements. The College for Financial Planning, grantor of the Financial Paraplanner Qualified Professional™ (FPQP™) designation, has been the premier provider of financial planning education in the United States for the last 40 years. The College is accredited by the Higher Learning Commission and is a member of the North Central Association. More about Adam Financial Associates, Inc.
Adam Financial Associates, Inc., based in Boca Raton, Florida, has been serving clients in Florida and across the country for almost twenty-five years. Our firm specializes in providing customized financial planning and wealth management services to individuals wanting to build a better and more secure financial future. Many of our clients are women, couples, and people who want to enjoy a confident, fulfilling retirement. Our experienced and credentialed team can help educate you on all the options, so you can confidently make important financial decisions and chart your path for a rewarding financial future. The firm is a fiduciary, registered with the Securities and Exchange Commission (SEC) as a Registered Investment Advisor (RIA). We do not charge or accept the investment commissions that often give rise to conflicts of interest, so our advice is objective. Our concierge-level service and comprehensive advice is backed by years of training, education, and professional leadership. Our team members never stop learning so we can stay on top of cutting-edge wealth management insights, education, and solutions and bring you the best possible service. Please take a moment to congratulate Scott next time you call the office. We are thrilled to have him as part of our team, and he looks forward to helping you with all your financial needs!